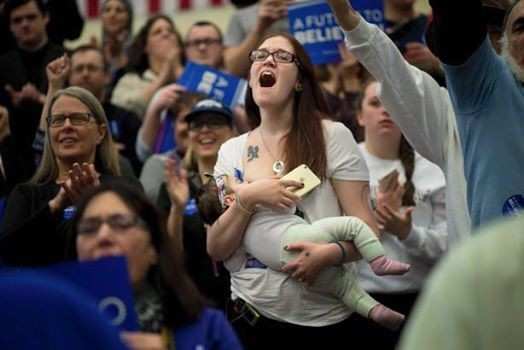 Breastfeeding in public has taken an interesting twist during the Bernie Sanders campaign. Ohio mom Margaret Ellen Bradford attended a rally for the Sanders team late last month and she brought her six-month-old along with her. At one point in the rally, her child was hungry and instead of waiting to feed her baby, she did what comes naturally - continued with the rally while providing her baby with the best nutrition available, breastmilk. The photo has gone viral and the image has inspired the hashtag, #BoobsForBernie. Bradford has also shared a follow up on Facebook, stating that she later met Sanders and he offered his support for her actions.